It’s taken me sev­er­al months to get the cour­age to share my feel­ings on this. This is an emo­tion­ally charged top­ic, and of course, when your own feel­ings are involved, it’s even more dif­fi­cult! I was lucky in that I was able to breast­feed my child; he latched eas­ily and was a good eater…initially. At about 4.5 months, he was just starving. I was feed­ing 1−1.5 hours, and hon­estly I was exhausted. He needed more cal­or­ies than I could provide. For whatever reas­on, pump­ing wasn’t work­ing well at all..it was as if my body knew that it wasn’t a baby…none of the tricks worked to cause my milk to flow unless the baby was with me. I wasn’t get­ting breaks and he was not get­ting enough. Period. I made a per­son­al decision to start adding some solids and sup­ple­ment­ing with goat milk for­mula…and it was a really con­flict­ing decision. I felt like I wasn’t provid­ing enough…and I could hear the guidelines “exclus­ive breast­feed­ing until 6 months” in my head. I felt pretty bad until I real­ized that my baby was thriv­ing! He star­ted sleep­ing for longer stretches dur­ing the night. He was much hap­pi­er through­out the day. He actu­ally reached for the bottle and was excited for foods! And even more, he pre­ferred the for­mula over the breast­milk. 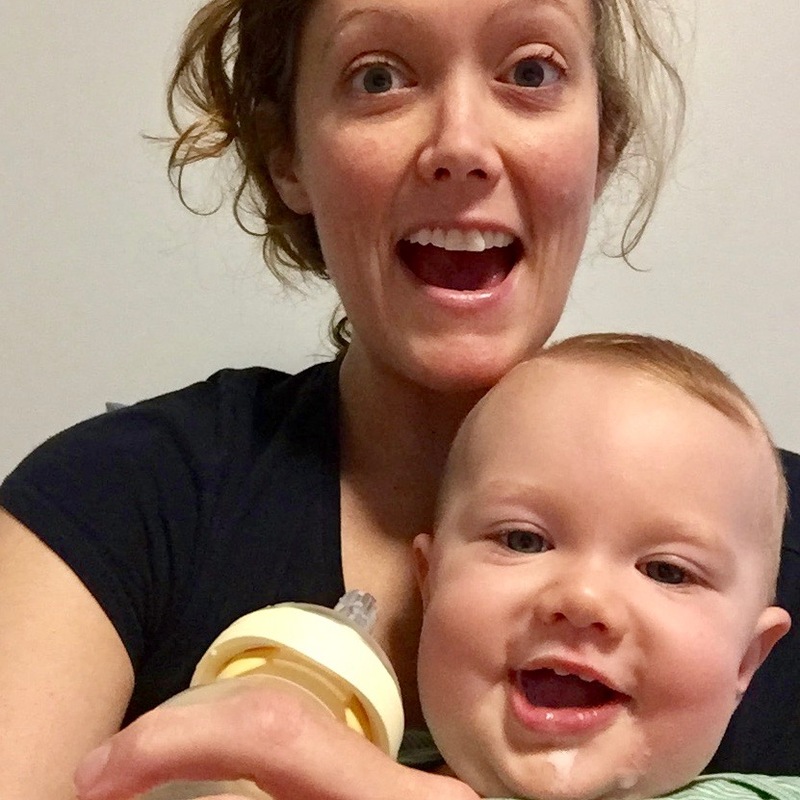 I truth­fully don’t think he felt full and so breast­feed­ing became more of a com­fort around bed­time where he sort of stopped need­ing to breast­feed around 7 months, his choice. He just star­ted refus­ing the breast and it happened nat­ur­ally. So, why I am I telling you all of this? We have become so obsessed with “should” that we are miss­ing the neces­sary. It was neces­sary for me to feed my child more. He’s robust! My ‘little’ man fits in 12 month cloth­ing and is over 22 lbs. He was grow­ing so fast. He already has 6 teeth! He doesn’t fit the nor­mal cri­ter­ia, but then neither do I. If the needs of the child involve breast­feed­ing because it is both pos­sible and the best choice for moth­er and babe, then great. But if breast­feed­ing is not pos­sible or exhaust­ing or not even enough cal­or­ic­ally for the babe, we must applaud and sup­port the moth­er for doing the next best thing for her baby — which may involve for­mula or food or both. Or all three! Caregivers, give yourselves per­mis­sion to know your child. To do your very best, but hon­estly, listen to what is right for you and for them. That is moth­er­ing.